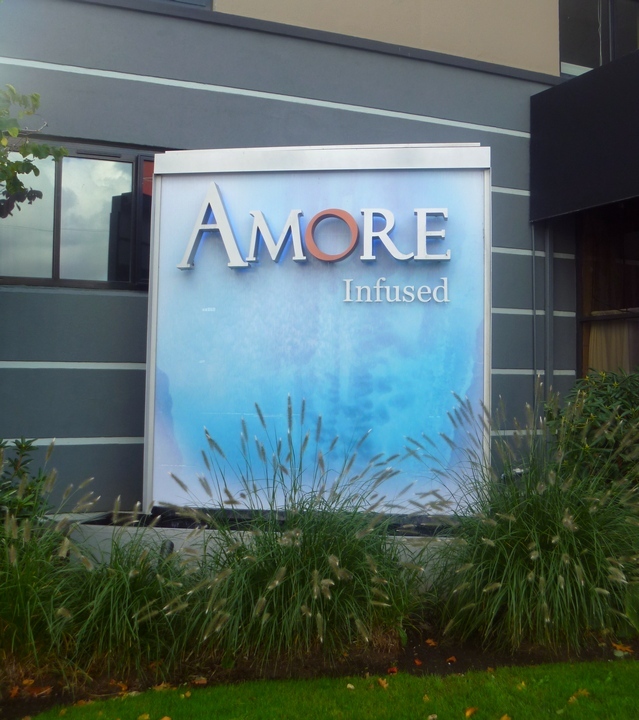 Update: Amore Infused closed after a fire in January 2012. 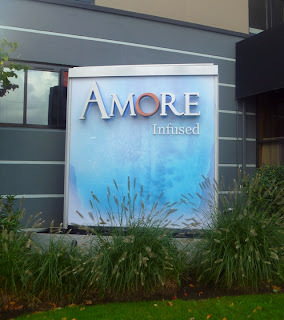 Amore Infused is the new version of Sean Lanagan's Italian restaurant which once lived just around the block. Lanagan's range of events, charitable work, and personality make you root for the place, and the food and drinks make that easier. The new name seems to accent the bar a little more, and the interesting infused spirits such as ginger limoncello, vanilla whiskey and chai rum. I had a Cucumber Mist (house cucumber vodka, lime, sweet and sour, mist of fresh black pepper) and then a Winter Sazerac (absinthe, bourbon, Grand Gala Orange Liqueur, blood orange juice, fresh black pepper, bitters). 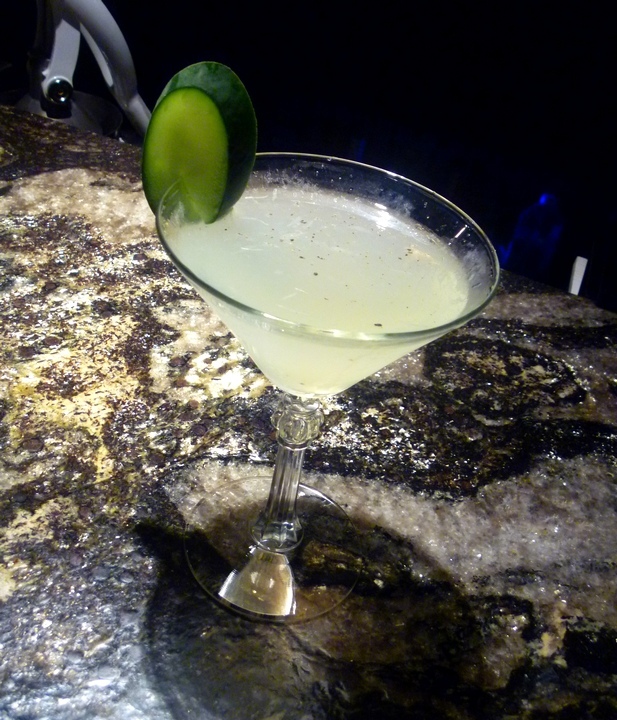 The cocktails tend to be a tad on the sweet side for my tastes, but these two were really tasty, and Ernie the bartender makes it a pleasure to explore your personal tastes.